The Hannah is a lightweight and flexible pointe shoe suited for strengthening and building. Wide yet tapered box with optimal fit hitting all major internal contact points between foot, shank and box. Supple insole designed on a curved last to assist the foot en pointe. Cord drawstring and harder, A paste incorporated within the box. 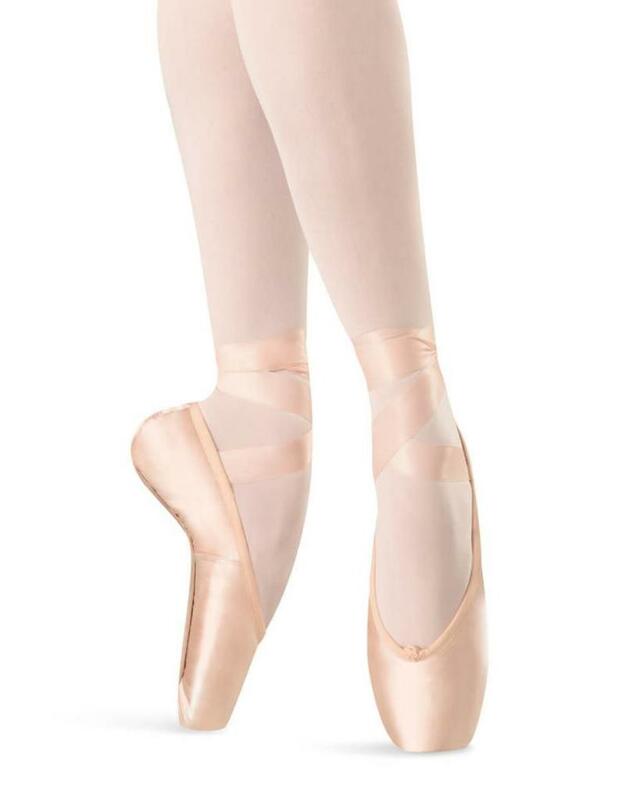 We always strongly suggest you get professionally fit for your pointe shoes. Pointe shoes are not returnable or exchangeable. Please be certain of your size requirements before you purchase your pointe shoes.